Thirty years after becoming one of Canada's biggest animated TV hits, The Raccoons is plotting a return. Creator Kevin Gillis says he's currently hashing out a possible reboot of the beloved children's series, which followed the adventures of Bert Raccoon and his friends from the Evergreen Forest. "I'd been thinking about it for the last four or five years but ended up spending a lot my time developing interactive authoring platforms," says Gillis, whose many sidelines include creating interactive e-magazines through his company Skyreader Media Inc.
"Part of what's really driving me here is we've had so many people who grew up on Raccoons all over the world who've been saying, 'Wow, I loved that show. It was great, it was fun, why don't you do a new one?' Because they're all raising kids now." 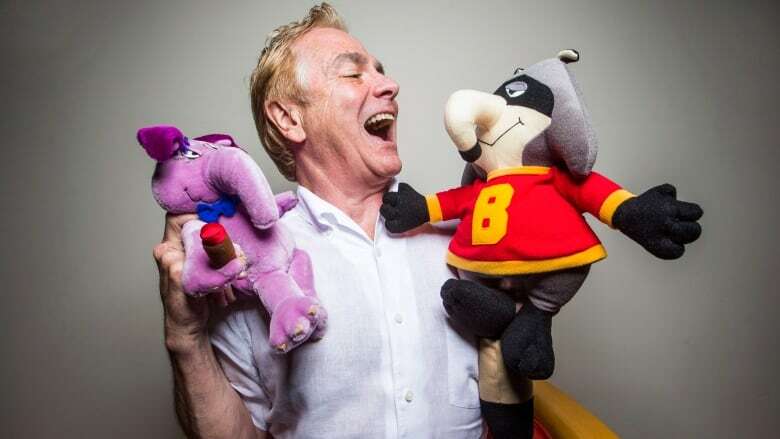 Surrounded by treasured Raccoons memorabilia at a downtown workspace, Gillis says he's spoken with Canadian broadcasters and is musing on the possibility of a co-production with another country, given that the series was also big in the United Kingdom and France. He's sure the time is right to bring back the rambunctious bunch, including married couple Ralph and Melissa, and Bert's best pal Cedric, a nerdy pink aardvark. Then there's Cedric's money-grubbing, tree-cutting dad Cyril Sneer and his trio of henchmen pigs, who were always causing trouble in the forest. "In the last three months I had two companies reach out to say they'd like to just buy it. And that made me think," says Gillis, who more recently has produced the animated series Atomic Betty, Jimmy Two-Shoes and Producing Parker. "I think, frankly, I'd like to partner with somebody who can help it really take off in a new way." The question facing Gillis now is how best to relaunch the show. "If I take Raccoons into a brand new relaunch, do I do the obvious and age it up? Is it Raccoons 10 years later? Or is it Baby Raccoons like Looney Tunes did, Muppet Babies did?" says Gillis, who's also working with Stan Lee on developing a live-action cop show with a Canadian hero. "What might work the best is just go back a little bit from when they first met and they were teenagers in school. Because the relationships would have been formed then." Whatever it looks like, it would be a much different production than the first time The Raccoons hit the air — a pre-computer era when the animation was painstakingly hand-drawn in Ottawa and then shot frame-by-frame on 35-millimetre film that was shipped to Montreal for processing. The gang first appeared in the TV special The Christmas Raccoons in 1980, followed by Raccoons on Ice in 1981 and The Raccoons & the Lost Star in 1983 — a key instalment that refined the animation, introduced key characters including the pigs and served as the series pilot. The Raccoons Let's Dance followed in 1984. 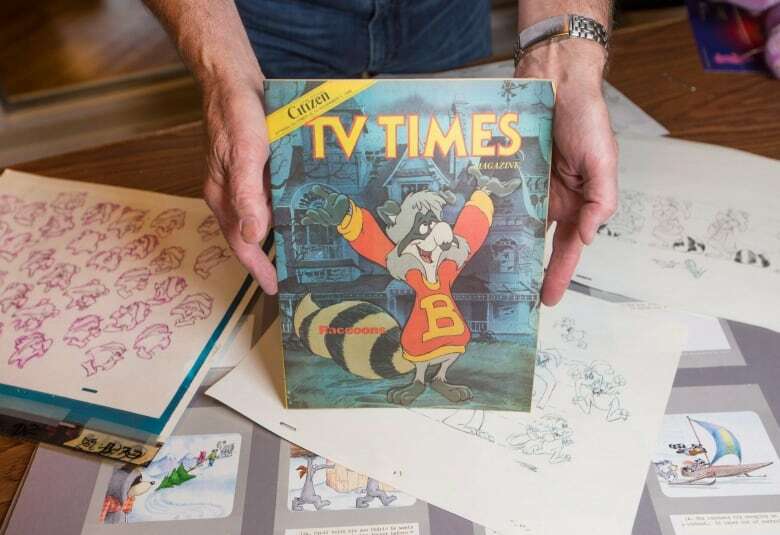 The Raccoons series debuted on the Disney Channel in the United States on July 4, 1985 and on CBC-TV that October, says Gillis, citing a review in Variety to help jog his memory. 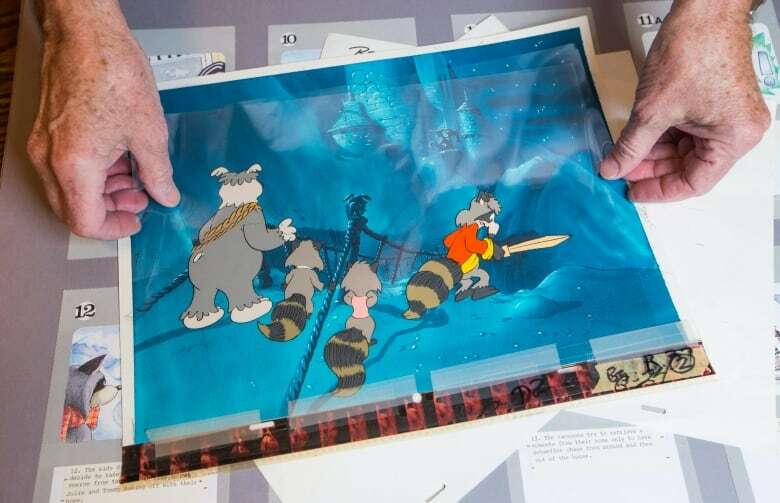 Back then, Gillis notes that scenes were meticulously composed of hand-painted cels and background drawings — a now-abandoned process in which characters on a transparent sheet were laid overtop of a static background. He estimates he has about half-a-million of those cels in storage. Gillis says there were 25 people in the colouring department alone, with another six to eight people responsible for backgrounds and anywhere between 50 and 70 animators, depending on the episode and deadline involved. Sound effects were also done from scratch, he adds, recalling messy experiments including smashed watermelons. The costs were also relatively high. In 1985, the first 11 episodes ran $4.75 million, says Gillis, adding that was typical at the time, especially since they chose not to outsource to Asia as many other animation studios did. Now, he says twice as much can be done for less, with a more recent project he did costing $9 million for 26 half-hour episodes. Plus, computers allow you to "turn a show around lickety split." "It wouldn't be half-an-hour, but would you need half-an-hour? Maybe it's two or three minutes, maybe it's six minutes? These are the kinds of debates that I'm going through." Gillis says he'd like to canvas fans for ideas, possibly through an interactive, online comic book for The Raccoons. "The Raccoons, arguably, is probably one of the more famous shows to come out of Canada. We were very fortunate we ended up in 180 countries around the world," he says. "I ended up hiring a lot of comedians to write and that brought an irreverence to the series. It was fun, it was funny, but at the same time it was very poignant and it wasn't in-your-face didactic. We tried to have good clean fun."